This is a game for 3-8 players. 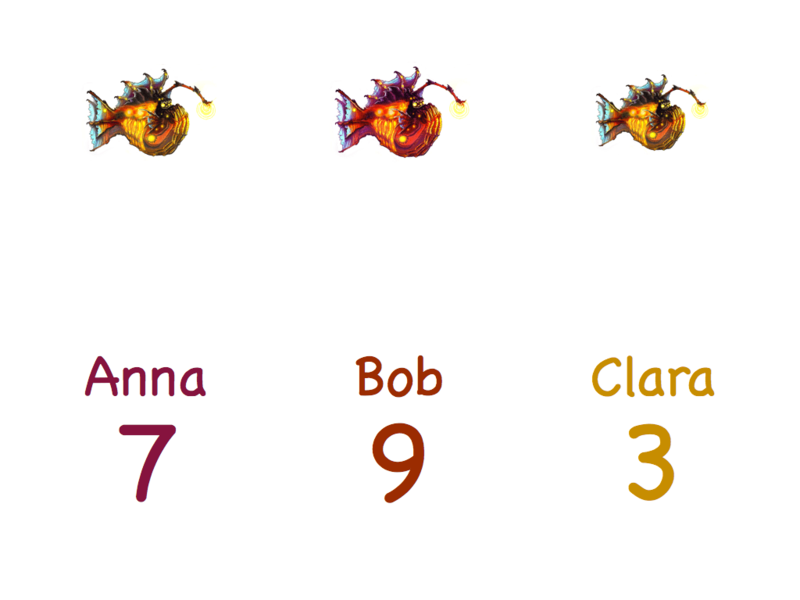 Players start by choosing different numbers less than 10. This is their initial fish size. 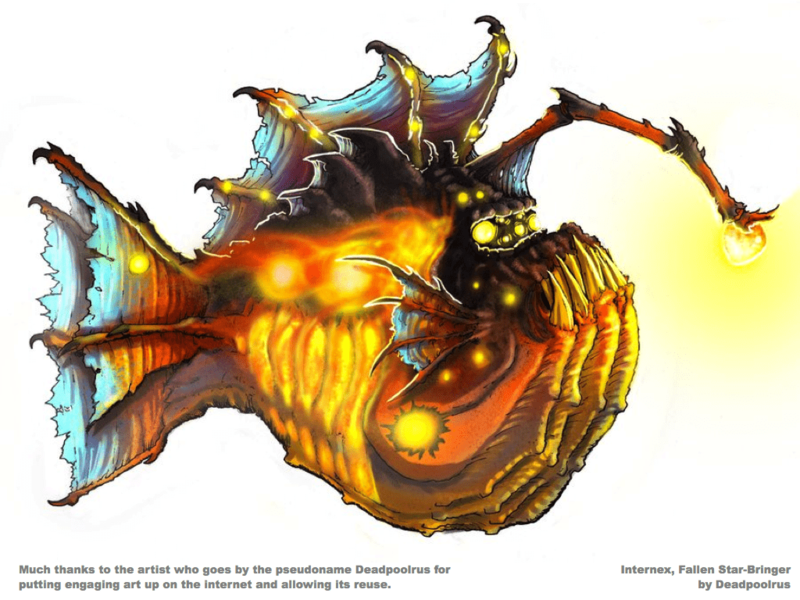 Everyone also agrees to the size of fish that will win the game. 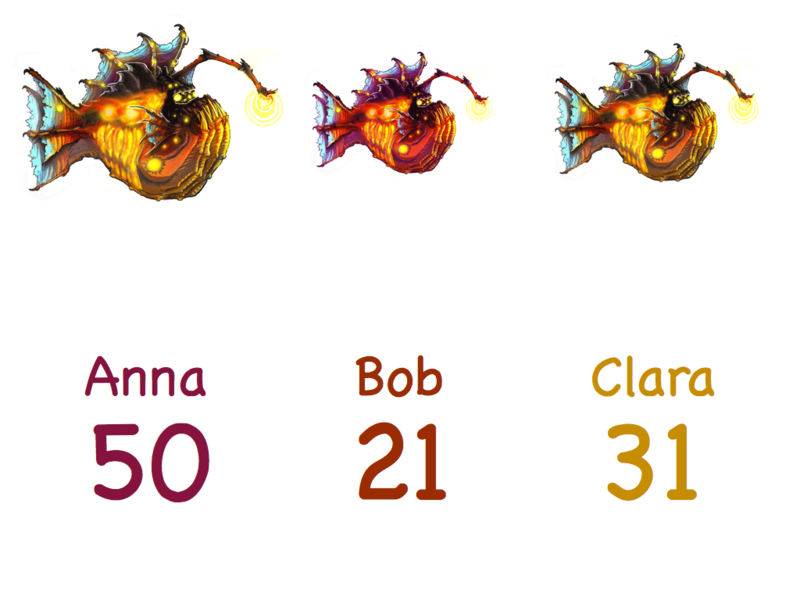 In this game, Anna, Bob and Clara have agreed that size 51+ wins. The smallest fish begins by eating one of the other fish. Add that number to their number. 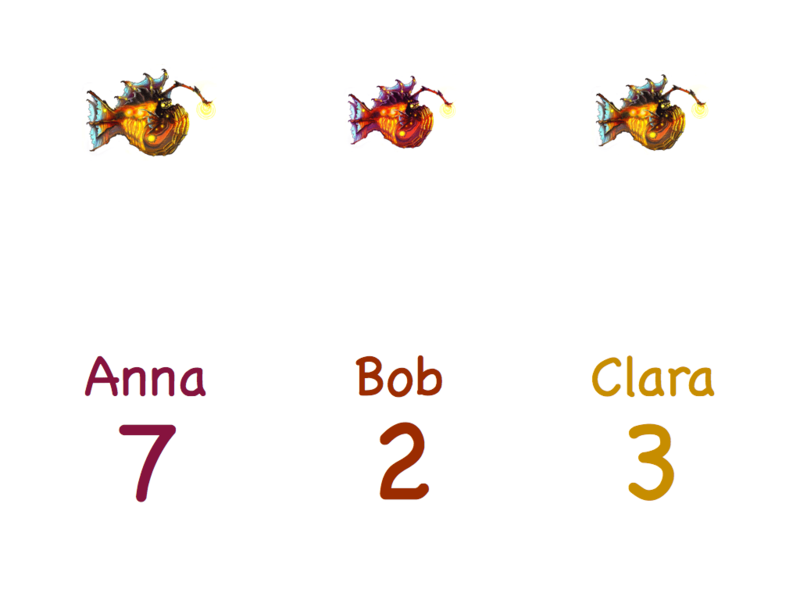 Clara (1) ate Bob's fish (2) and now has 3. 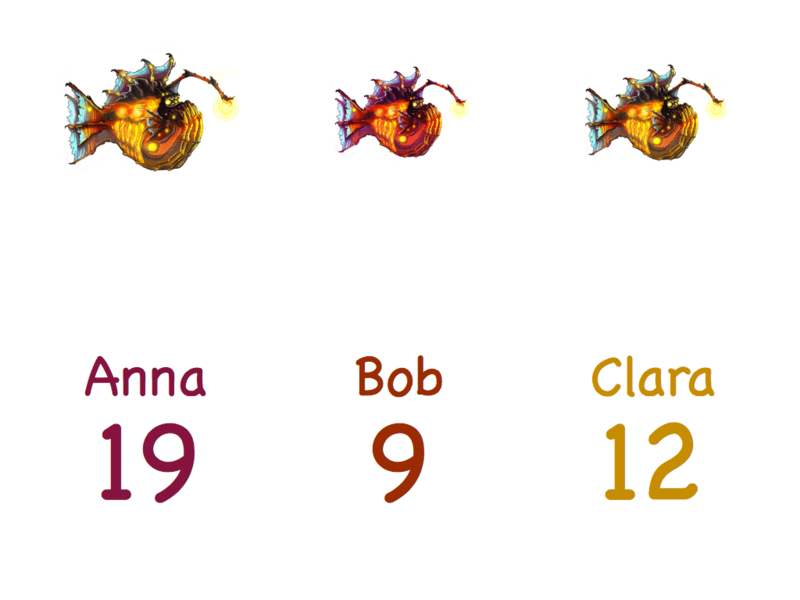 The player with the smallest fish always takes their turn next - so now it is Bob's turn. 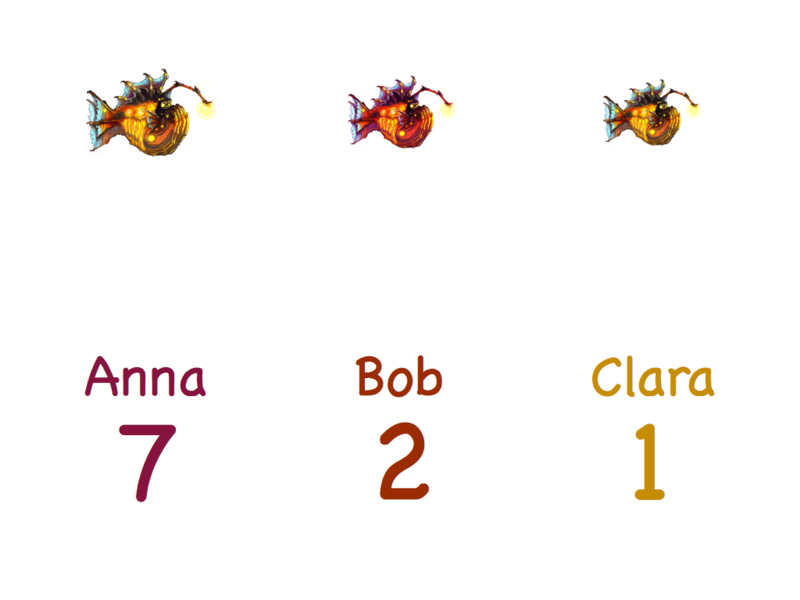 Bob(2) is going to eat Anna's fish (7). What size will Bob's fish be? Bob's fish is now size 9. It is Clara's turn since she has the smallest fish. She will eat Bob's fish. For the first time it's Anna's turn. 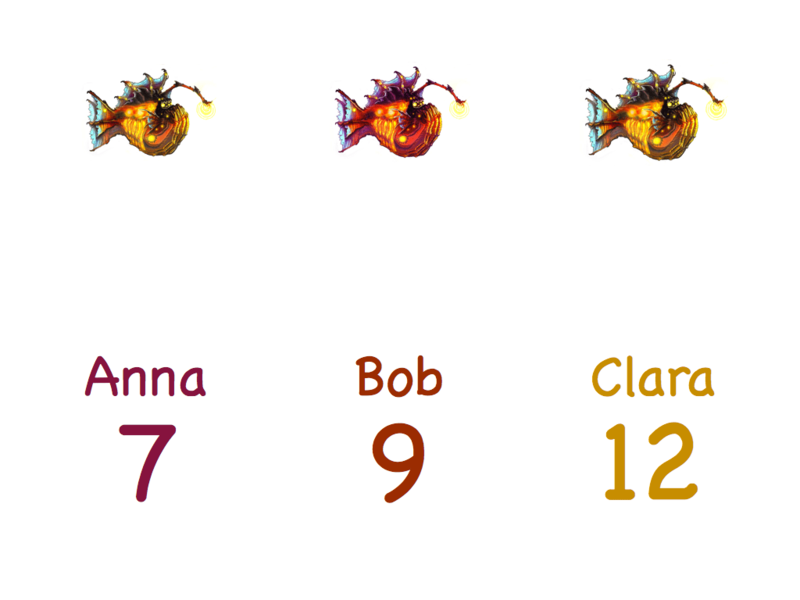 Anna's fish (7) will eat Clara's fish (12) to create a huge 7+12=19. 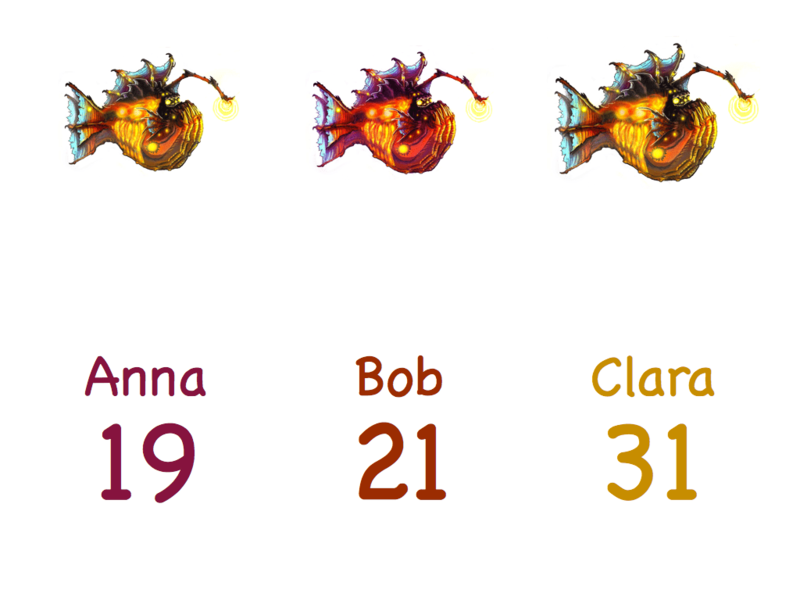 Bob's fish will eat Clara's. Clara's fish (12) chooses to eat Anna's (19) to make it size 31. Anna can't get to 51! 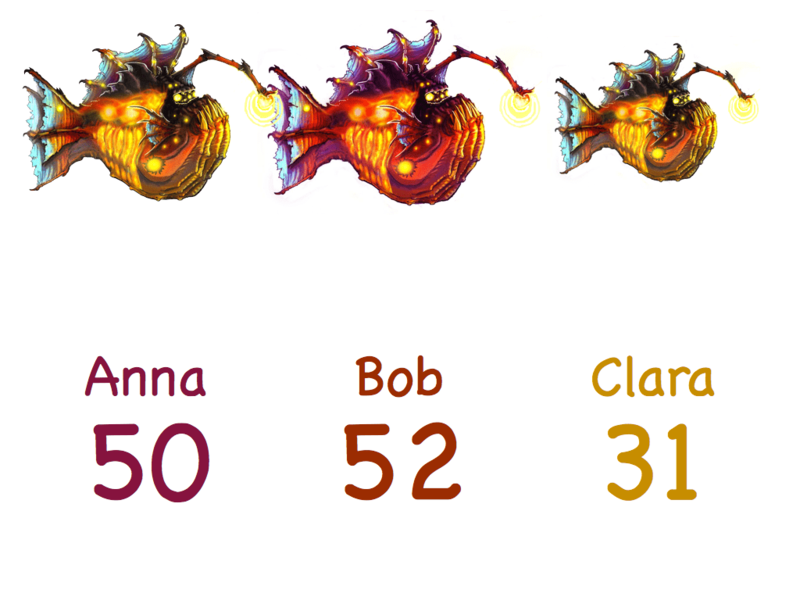 The best she can do is get to 50 by eating Clara's fish. 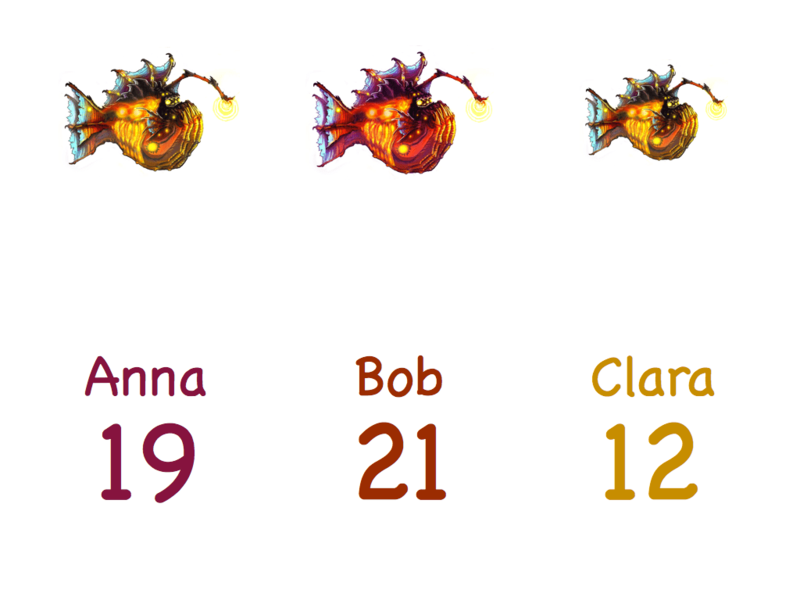 Bob is going to win by eating either of the other two fish. He chooses to eat Clara's and becomes the first to reach 51. 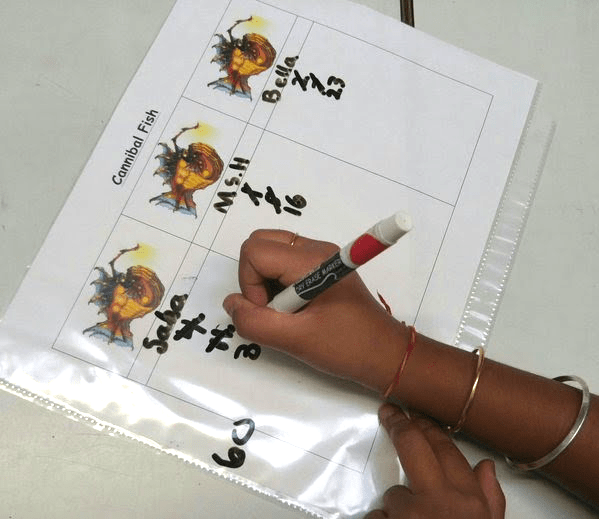 Download game boards for three to five players here. Artists who provide their work for re-use are much appreciated! Alison Hansel’s class become cannibal fish. Thanks to Alison Hansel, I’ve now added a printable game sheet for three to five players which you can download here.